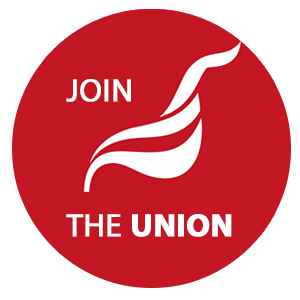 Britain faces dangerous times after the EU referendum campaign and Labour plotters trying to oust their leader, but amid it all there’s the chance to beat back Tory policies, says GLYN ROBBINS, Unite LE1111 member. AMID post-Brexit political chaos, the campaign against the Housing and Planning Act goes on. While careerist politicians worry about themselves, the threat of 15 per cent rent rises, ending of permanent tenancies and loss of even more really affordable rented homes looms larger. But instead of fighting a Tory law that will make the housing crisis worse, most Labour MPs are fighting the party’s democratically elected leader. Nothing more graphically exposes the chasm that has opened between Establishment politics and the concerns of working-class communities — except perhaps the Brexit vote! The Axe the Housing Act alliance brings together tenants, rank-and-file trade unionists, councillors and housing activists. With the support of some national unions (including Unison, GMB and the National Union of Teachers) the campaign has succeeded in raising the profile of an issue with far-reaching ramifications, culminating in a 10,000-strong demonstration on March 13. Sadly, the efforts of local groups were not matched by those of parliamentarians and on May 12 the legislation received royal ascent. Inevitably, this has led to some demoralisation but the fight against the Act has only just begun. There are a host of uncertainties and contradictions that will now come to the fore as local councils are asked to do the government’s dirty work for them. They must not. Axe the Housing Act is calling for a national summit in October to discuss how councils, housing associations (HAs) and tenants can work together to challenge and defeat the Act. The campaign has already forced some concessions and councils and HAs now have more discretion about how the Act is implemented. Councils can oppose developers building unaffordable “starter homes” that don’t meet local needs and refuse to sell off empty homes. HAs don’t have to apply pay to stay or right to buy. One of the most consistent and vocal critics of Tory housing policy has been — and should continue to be — the current, democratically elected leader of the Labour Party. Jeremy Corbyn has been a staunch supporter of Defend Council Housing and other housing campaigns for many years. Since becoming Labour leader, even when he knew the knives were out for him, he found time to attend meetings and demonstrations against the Housing Act and has been unequivocal in his opposition to it. Few Labour MPs — and no previous leaders of the party — have given anything like this level of solidarity and leadership. By contrast, very few of the MPs claiming that Corbyn doesn’t represent the views of working-class communities have done anything meaningful to oppose the Housing Act. Perhaps now we know why — they were too busy plotting! But Corbyn’s role is not purely symbolic. The Housing Act is now law and ultimately it will take an act of Parliament to repeal it. That’s something a Corbyn government would probably commit to do. What chance under the plotters, bearing in mind that some of them supported very similar housing policies to the Tories under the last Labour government? This is a dangerous and potentially decisive time not just for the future of housing, but the future of British politics and society. In less than a year, Jeremy Corbyn has begun to build real opposition to the neoliberal agenda, both inside and outside Parliament. If the coup succeeds, the Labour Party will return to the Blairite path that leads to the pro-business sterility of the US Democratic Party. With a supine Labour Party, the dismantling of the welfare state will continue and the social divisions and racism that have erupted since Brexit will grow. But there’s a more optimistic scenario. If Jeremy Corbyn can survive until a leadership election and win again, he will emerge stronger with a renewed mandate for genuine change. Many of those attracted to the Corbyn Labour Party are also the young people most affected by the housing crisis. Alongside a re-energised national campaign — with more union involvement — to Axe the Act, the Labour Party can fight the next election on a platform to build thousands of council homes, restore rent controls and improve security of tenure. Only the most crude analysis thinks the people who voted to leave the EU would not vote for a Labour Party offering a real alternative to wage stagnation, unemployment, cuts and privatisation. Housing has become the focal point for class struggle, highlighting the inequalities of a system in which millions of lives are blighted by the greed and inefficiency of the property machine. Policies that treat housing as a social asset not a private commodity can help rebalance our economy, create jobs and reduce the waste and damage of the unfettered market. The Labour Party plotters can be a blip in the history of the movement they only use for their own ends. The difference between them and Jeremy Corbyn is that he cares more about the people he represents than himself. Together, we have a future to win!